Everyone deplores cheaters. The word ‘Gameshark’ is always muttered under dark breaths. The idea of getting something without having to work for it irks people. However, I’m here to sing a different tune. As a kid, when I discovered the joys of the clunky plug-in Gameshark device for the Playstation 1 as a kid, I was thrilled by the countless possibilities. Oh I can finally get that KOTR materia without all that nasty chocobo inbreeding now. Oh 1337 stats and infinite items? Yes please! But strangely, even as I infinite-HP’d my way through Monster Rancher, I didn’t get the satisfaction I thought I would. Oh sure, being able to plough through the games without the fear of dying was thrilling. As Winston Churchill once said, “There’s nothing quite as exhilarating as being shot at and missed” and indeed this exhilaration gripped me initially. 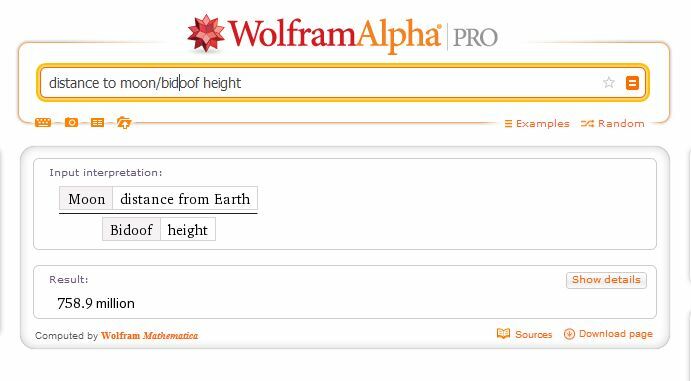 I was practically omnipotent, with infinite resources at my disposal. Yet, after a while, I opted for max HP/MP cheats instead of infinite HP/MP, because the games got too easy. I would look for codes that maxed my life that could be depleted instead of an infinite one. Slowly, I rescinded on the codes I used. Instead of a max all stats cheat, I would perhaps only max just one aspect. Soon after, I stopped using stat altering cheats and went for unlocking exclusive feats (unlockables, hard-to-obtain items etc). 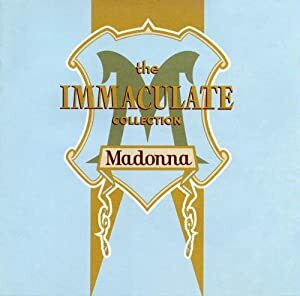 Till today, I don’t really regret that I used a Gameshark to get a Mew in Monster Rancher 2 simply because I didn’t have a ‘Madonna the Immaculate Collection’ CD to spawn it. 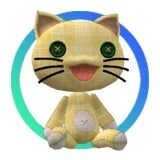 …spawns this. True story. Why? I dunno. The point is, when everything was so easily available through cheating, I began to appreciate the value of effort more. Through being able to easily obtain Arceus and Darkrai on Pokemon Diamond/Pearl made me realize that their availability made them no more precious than a regular Bidoof or Zubat. Thus, to make my Pokemon experience special, I discovered EV training (I wasn’t a very good competitive trainer but going on that journey was interesting) and the Pikachu with the Volt Tackle that I got from the (crappy) Wii Game ‘Pokemon Battle Revolution’ as the first Pokemon I ever EV trained (and Ditto-raped for nature). I still kept all the rare Pokemon I cheated with for collection purposes, as I realize I would probably never be in Japan when promotions reel around, but within this game, residing side-by-side with the ill-gotten Pokemon, were Pokemon I put so much effort and time with. My Diamond cartridge truly felt like a culmination of experience, of learning through the disappointment I got through cheating, the determination I gained about the value of effort and so forth. Many gamers decry the methods of cheaters, but in the writings of John Stuart Mill’s ‘On Liberty’, through a ‘free marketplace of ideas’ where both the good and the bad opinions are allowed to be aired, the good shines in comparison through conflict with the erred and to deprive truth and good that opportunity would be to do people a disservice. Cheaters have the potential to learn the value of effort and hard work through cheating too. I suppose in real-world situations, it’s not as if the actions of an individual gamer has no social implications, especially in today’s gaming situations, with MMOs on the rise, cheating and bots do impinge on the gaming experience of other people and that’s when things go bad. Nobody wants to play a game with a person who has gold farmed from a bot or a gold farmer and upsets the meta-economy. My cheating history was a mostly cloistered one, since I wasn’t rich enough to play MMOs. Battling online on Pokemon though, can be where the “do no harm” principle flounders sadly like a Magikarp — one does see outrageously hacked “hackmons” while battling, and the ones without a cheating device is usually left disadvantaged. It seems that the concept of cheating has gained more consequences with the rise of socially-integrating games then. The motif of the Mills ‘Harm principle’ where “The right to swing my fist ends where the other man’s nose begins” becomes challenged more and more as games develop, but it also brought into the discussion some merits of cheating that would have otherwise been overlooked. Originally written on 27th December 2010 on 1up.com, edited for content and clarity. 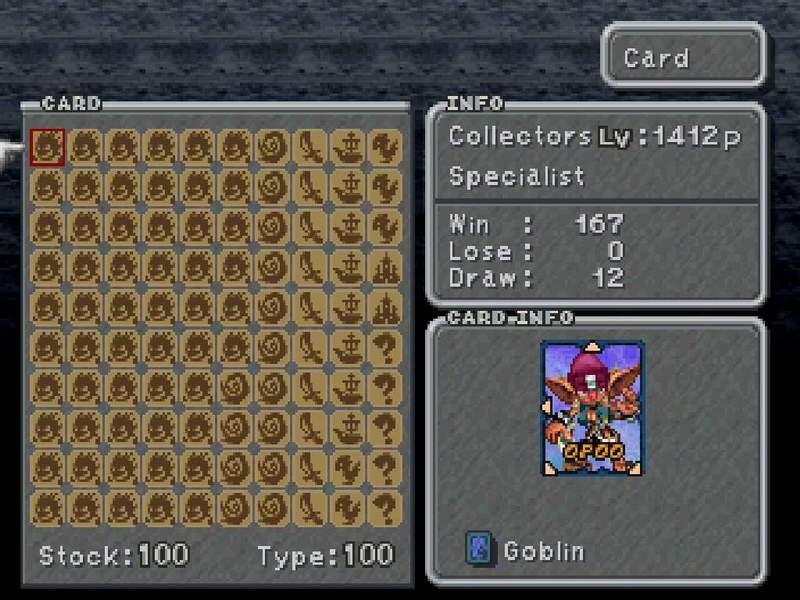 I do admit, I am somewhat of a completionist – On Final Fantasy IX (the only game I’ve ever faithfully declared to have liked) I have completed all of the Chocobo Hot and Cold, Gotten 99 of every item that can legally be obtained so, fully mastery of all abilities and summons for all characters, completed all mini-quests (Ozma and the stupid critters included) and this: Tetra Master, 1 of every card, with 1 of every arrow-combination but 2. For a minigame with no tangible reward, I spent so much time on this. And then there are other games where a similar streak runs too. My point is this: What is the satisfaction derived from such seemingly pointless, even menial, tasks? There must be some sort of achievement obtained at the end of this task, why else would we even undertake the effort? Even the most psychopathic of axe-murderers have a motive that made sense to them at the point of chopping victims into itty-bitty pieces. Reward motivation: This one is a no-brainer. The satisfaction of hearing the ping of ‘Achievement unlocked’ or ‘Medal achieved’ is immense. Achieving all of these medals or achievements is a goal that drives people to complete a game, but if actions are motivated by the bettering of self, what do achievements really achieve? The benefits of a 100% offer no tangible benefits in real life applications. One could cite bragging rights as a self-perceived superiority over the other mortals who are unable to dodge 200 lightning strikes in a row, but are ranked players any more self-confident than non-ranked ones? The reward system releases dopamine which makes us feel good when we nail that last secret costume, but given that the reward system is designed for us to continue doing what is beneficial to the self (reinforcement), perhaps our addiction to the rewards in gaming is simply arbitrary and for the sake of it. Hoard mentality: This is about the creepy old man down the street who keeps every single newspaper he’s ever bought (and subsequently dies in a freak fire at home) and that ex who stores your nail clippings. The inherent need to cache quantity is visible across different species, and is seen in squirrels, octopuses, honey badgers etc. Wanting to accumulate as much achievements and hi-scores can be seen as a product of this mentality. This could explain why some people punish themselves playing games just to beat the high-score, even when the gaming process clearly ceases to be fun anymore. Also, research has shown that in Bejeweled, people respond positively to the mounting numbers and rising tones in the games as combos build. The addiction to big numbers could explain why breaking that 9999 HP/damage limit is oh-so-satisfying and watching Lightning deal 600 thousand HP damage gives one the willies. Although that is probably mitigated when faced against an enemy with a 7 million HP. Irrational fears: Unfounded fears can play a role in explaining why people strive for that 100% completion. I get uneasy when I know I have dirty dishes lying in the sink waiting to be washed and I just have to do them before I go to bed (not really but you get the idea). Why is it that some people are unable to put down a game until they feel that they have sufficiently completed it to a point (in the case of FF9 for me, EVERYTHING)? It’s akin to having to reveal all unrevealed parts of a map in an RTS even though you know there might be nothing of note there, but the off-chance that there just miiight be impels one to do so. The fear that one might have left something out constitutes part of the fear of the unknown, and knowledge gleaned from revealing those patches of black confers relief. Irrational fears are usually a stepping stone to something bigger, such as “If I don’t skip on every 7/9th of a step a piano would fall on my head”. While gamers don’t expect pianos or anvils or any heavy object to flatten them, the ‘leading-to-something-bigger’ is manifest in a mini scale here. Perhaps if one doesn’t complete this game, this makes them feel ‘incomplete’ as a gamer and hence less competent. Or that not getting maxed out stats makes the saved data ‘imbalanced and ugly’, and there’s a certain beauty and symmetry to maxing everything out. There might be other reasons for why people are impelled to go for that 100%. Of course, the idea of a completionist psyche does sound pretty kuku to a lot of people, but then again hey, we gamers are supposed to be murderers and psychopaths from violent video games so what’s not to expect, right? Ever since his inception in the first Street Fighter in 1987, Ryu has become a staple in every Street Fighter game or game that has Street Fighter cameos. His appearance has changed drastically then, and the above image shows how. Anyone remember the terrible movie, Street Fighter (1994), starring Jean-Claude Van Damme? 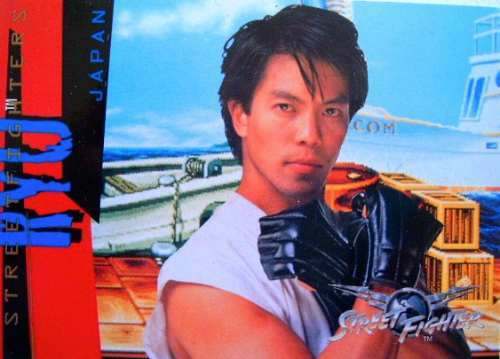 Byron Mann plays Ryu in that one. Ryu for reference, in Street Fighter. At least they cast an Asian. 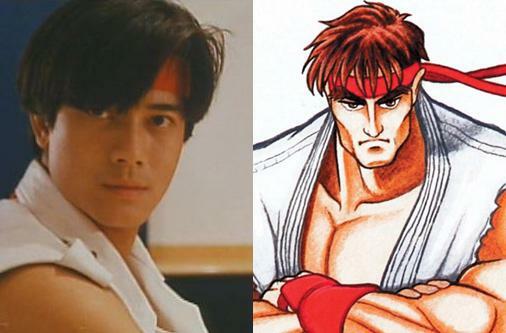 I kind of prefer the Chinese spoof Street Fighter, Future Cops (1993), with Aaron Kwok as Ryu. I highly recommend anyone who hasn’t seen Future Cops to watch it. It combines the best of action films, the craziness of old Hong Kong flicks, and video games. What more do you need? In fact, you know what? Here it is, with English subtitles! Vivillons are butterfly Pokémon for the 3DS game, Pokémon X and Y. 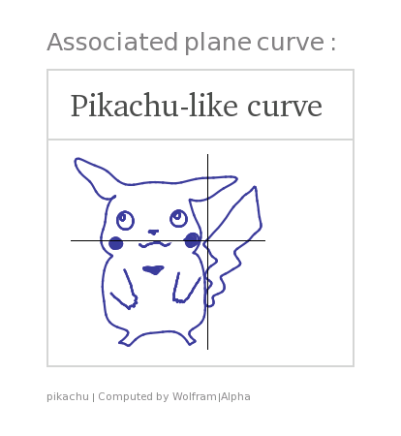 A unique feature of the game is that for this one Pokémon, it has a distinct pattern based on what region one’s 3DS is set to. For example, those whose 3DS are set to New York gets the Polar pattern while those in Tokyo might get the Elegant pattern. 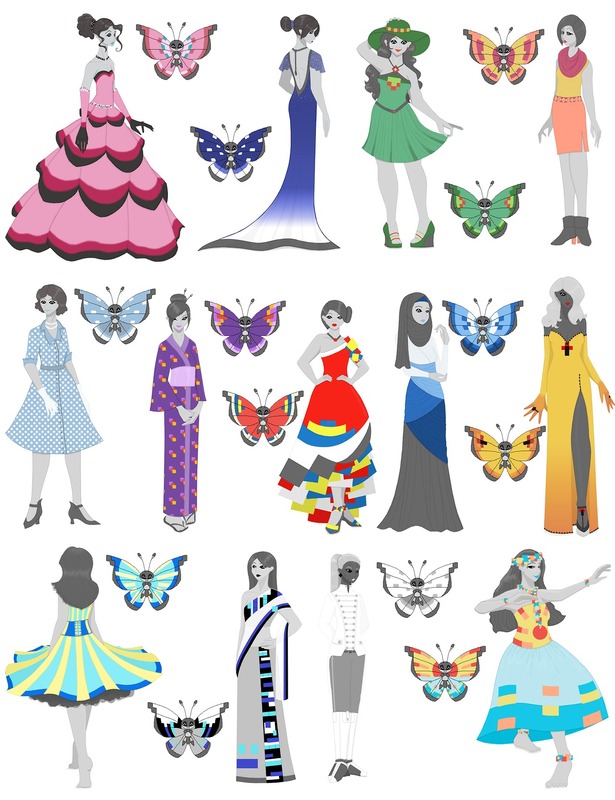 Tumblr user Greenvelvetcake takes these different patterns and turns them into gijinka, or anthropomorphism. The patterns, in order from left to right, top to bottom: Meadow, Polar, Garden, Sun, Tundra, Elegant, Modern, Marine, Continental, Savannah, Monsoon, Icy Snow, and Ocean. 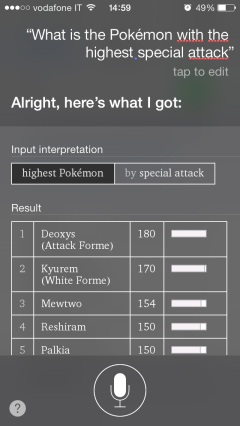 Wolfram Alpha, computational search engine, has always been known to be able to draw Pokemon curves, but now, with the iPhone’s Siri integration, one can truly use the Siri as a Pokedex. Would sure be more useful than any current use of Siri, in my opinion.